After a wonderful walk through the ancient woods up to the Fairy Loop Waterfall, my fingers were itching to get back to my studio. 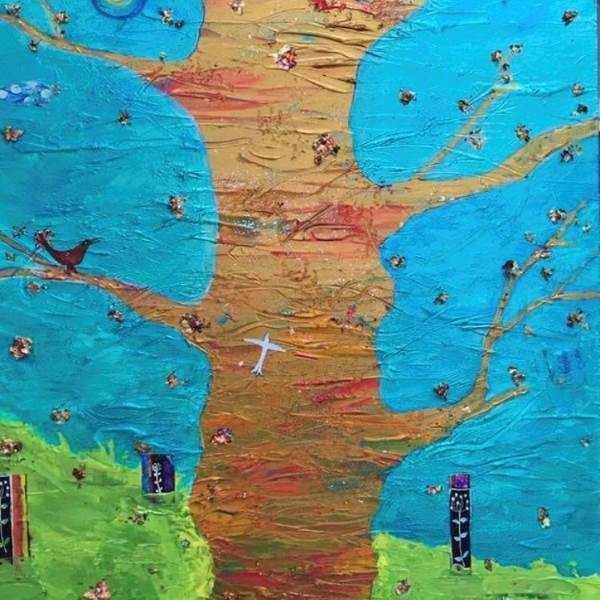 Experience how Painting Reduces Stress and Lifts Mood with my playful Tree painting adventure. Express your feelings & emotions through colour & texture. You can follow me step by step or trust your fingers to lead the way. No need to Think or Plan. Painting in this Mindful way allows us to truly be in the moment, freeing ourselves from dwelling on the past or dreading the future which generally brings about Anxiety, Stress & low mood. You are welcome to follow me step by step or allow yourself to Let Go and express how you feel through your own choice of colours and materials. Join my free facebook group to connect with me personally, share photos of your painting.